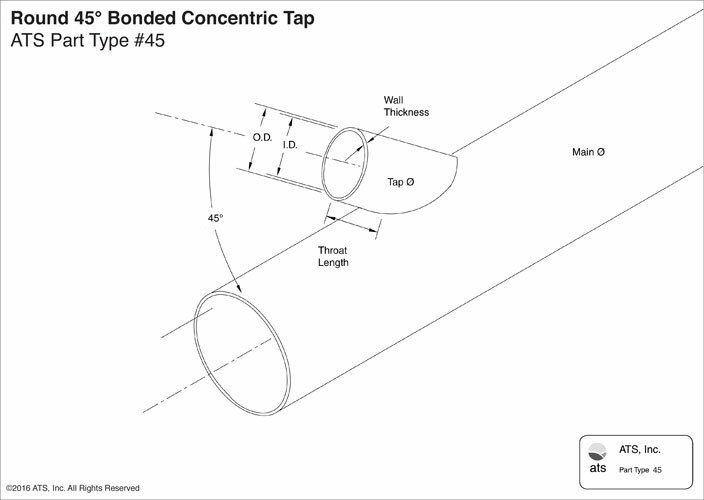 For more information on other ATS taps see part types below. 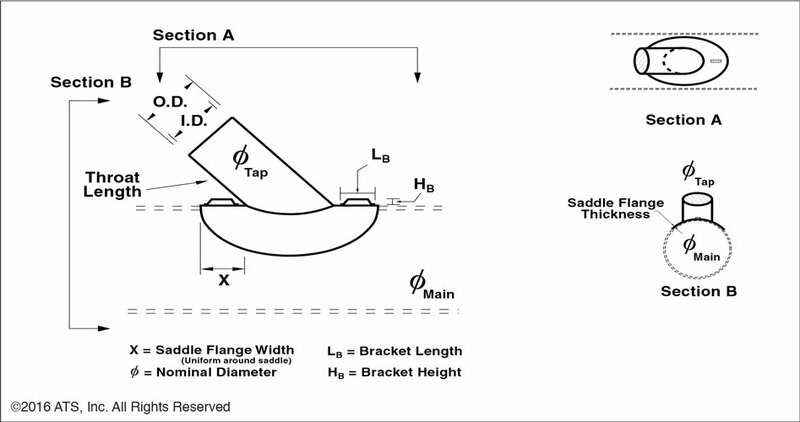 + Standard Throat lengths are 6” but can be custom fabricated to length. 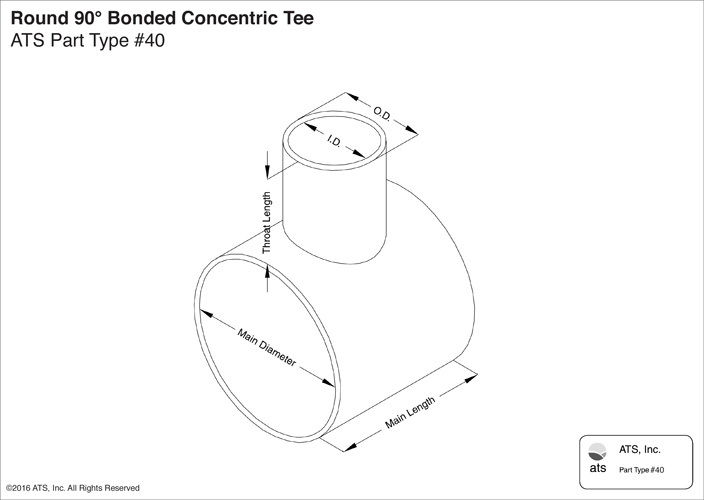 ATS standard 45° bonded concentric tee can be made from any size diameter to fit round duct equal or greater than the diameter of the tap. 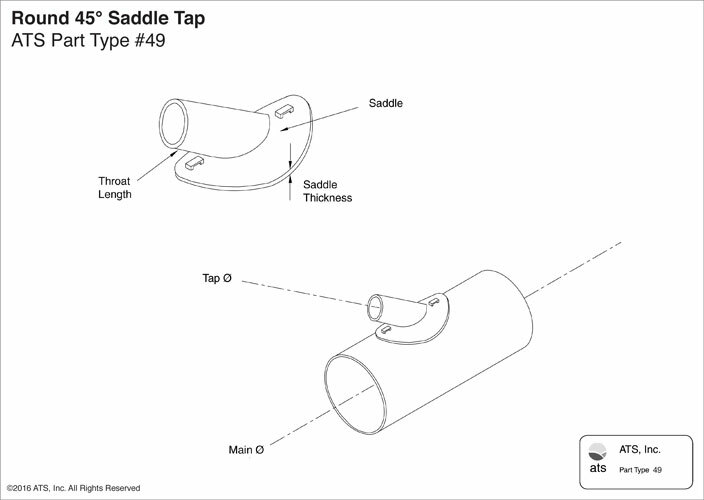 The standard throat length is 6”. 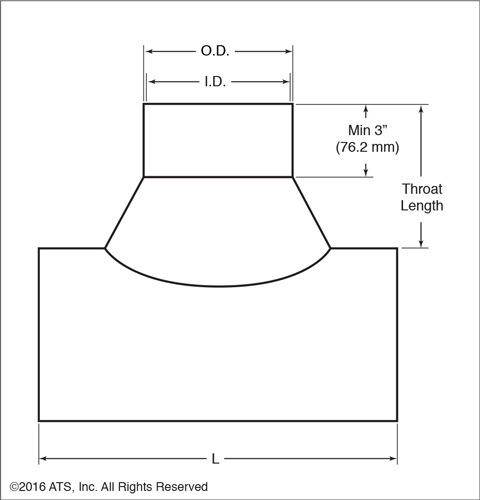 Alternative throat lengths are available, but must be specified. 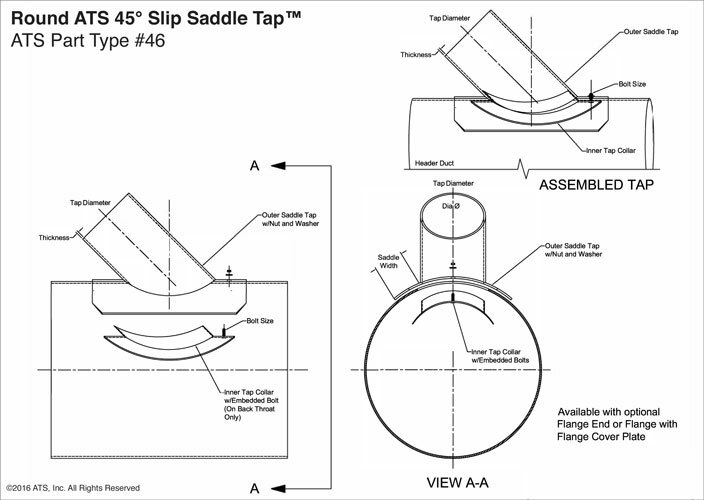 ATS standard 45° saddle taps can be made from any size diameter to fit round duct equal or greater than the diameter of the tap. 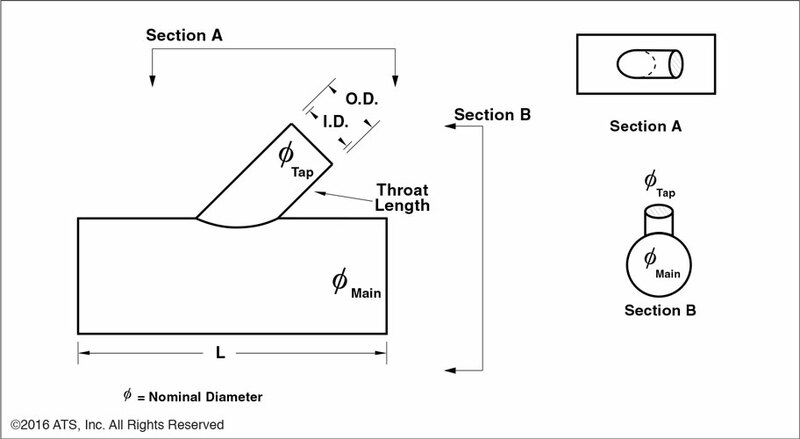 The standard throat length is 6”. 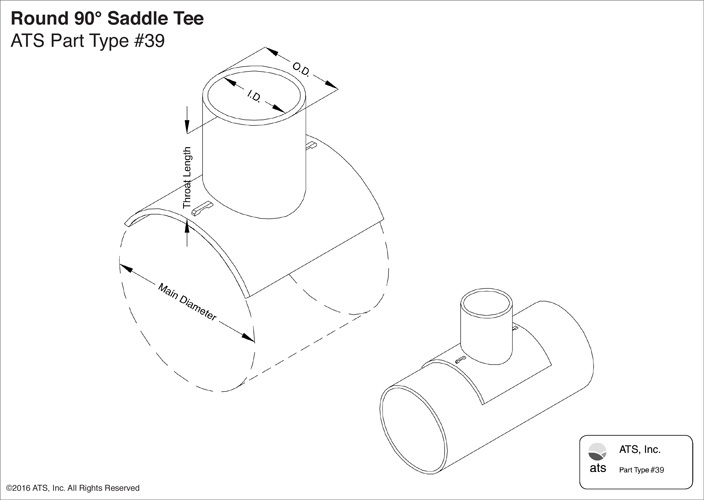 Alternative throat lengths are available, but must be specified. 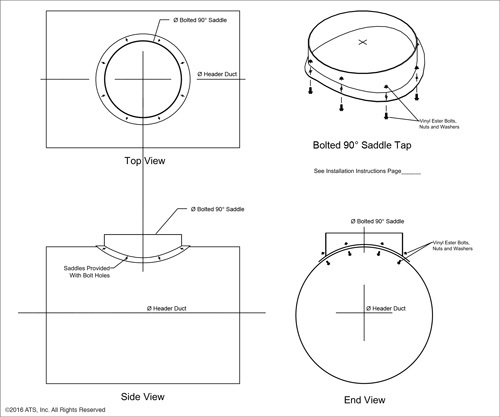 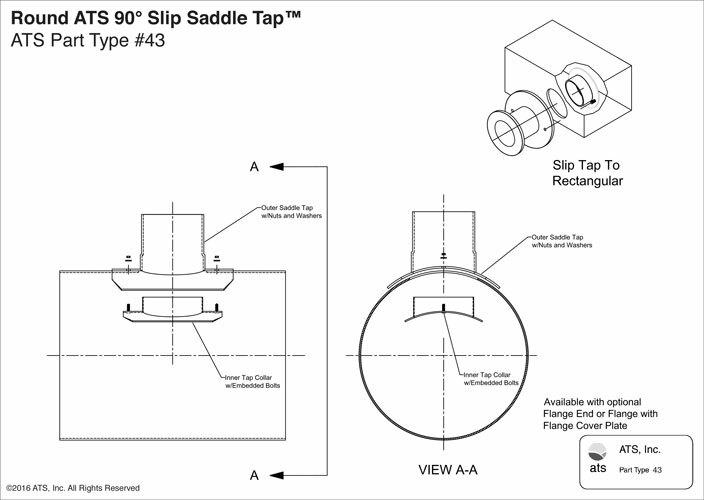 Saddle taps offer installation flexibility especially after the facility is operational. 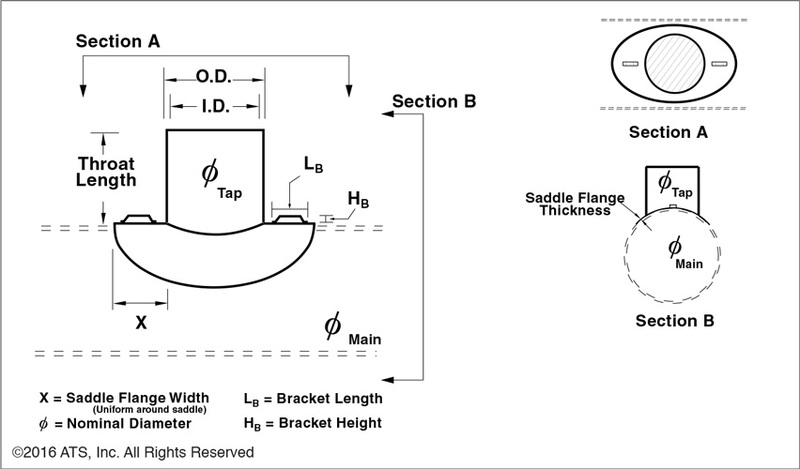 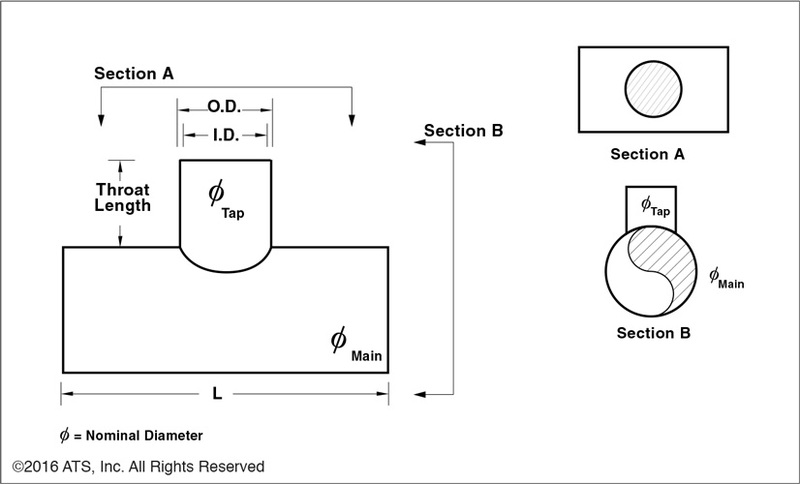 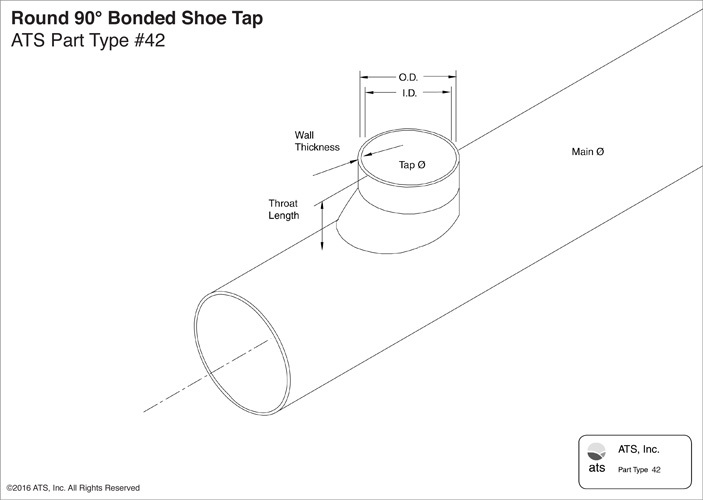 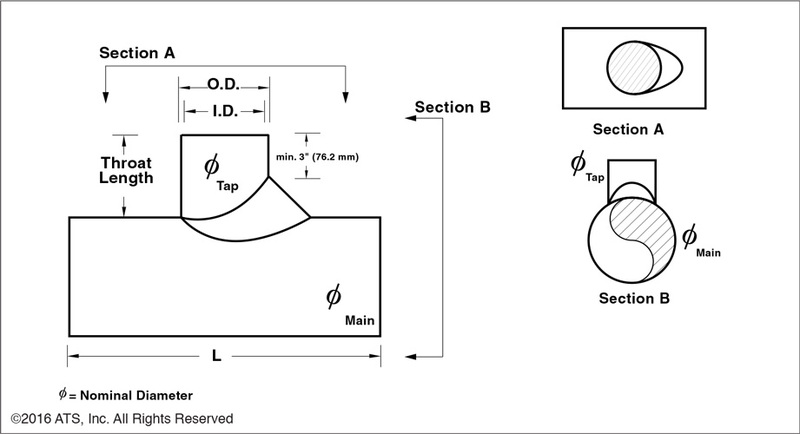 Contact ATS Engineering Department for methods of attaching a saddle tap on an operating duct, without the necessity for tool shutdown upstream of the tap.